Want to get your mits on a brand new Xigmatek AEGIR CPU cooler? 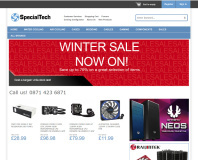 PC modding and watercooling etailer Specialtech is offering one of these fantastic coolers every month, which will be up for grabs if you submit your case mod to the Case Mod Index. We'll also feature your project in our monthly project log update, too. 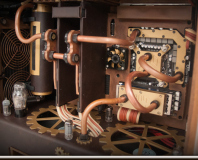 Earlier in 2012 we launched the very first database of case mods - the Case Mod Index. It allows you to search for completed case mods based on the manufacturer name and case model so you can see other projects that have used a particular case. 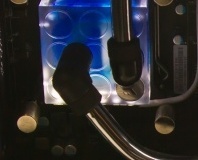 We've also tagged each water-cooled project to you can see just what cooling gear might fit into your case too. We've got over 70 projects, from 16 different manufacturers featuring nearly 50 different case models so far and the numbers are still growing. How to win this awesome prize? All you have to do is submit your project to our database and each month Specialtech will be shipping a prize to one lucky winner picked at random. Specialtech has been kind enough to agree to ship the prize internationally, too, so everyone can enter. Your project must be a completed case mod, not a scratchbuild. It must also feature significant modification (this can include spray painting and powder coating, but must be more than cable braiding and tidying). Thanks to everyone who's submitted their project so far - we'll be announcing the winners every month in our regular project log and Case Mod Index update. We're also working on making a scratchbuild version of the index, based on case material, type and size. Watch this space!